In this article we explore the history, styles and artists within the Illustrative tattooing style. 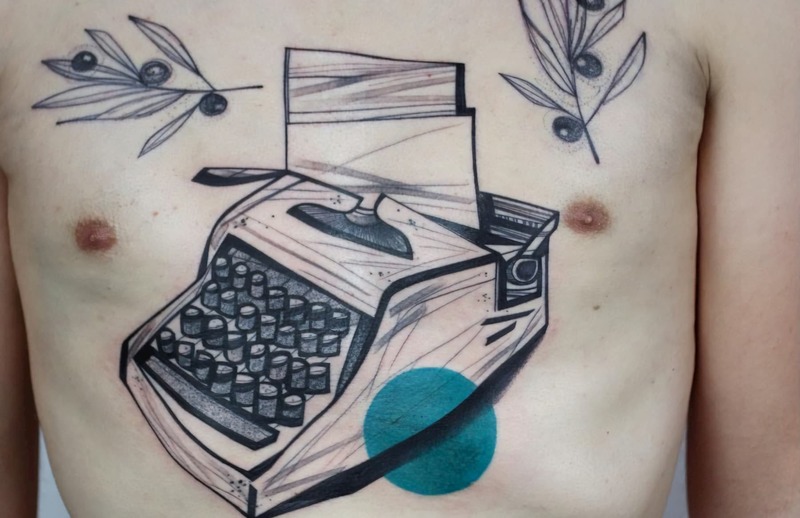 There are many different styles and art movements that influence Illustrative tattoos. Etching and engraving, sketch like gestures, Old Masters preliminary outlines for masterpieces, Abstract Expressionism, German Expressionism are only some of them. Techniques like stippling, dotwork, linework, cross-hatching, modes of applying the ink vary for different textures or desired looks, are also often used in varying degrees. Within Illustrative tattooing you will find artists who do Blackwork, ornamental, abstract, Traditional, Figurative, Japanese, Neo Traditional, New School, Chicano and more. Aaron Aziel, Franco Maldonado, Leeso, Panta Choi, Maison Matemose, Miss Juliet, Chris Garver, Servadio, and Ayhan Karadag are all artists who work in the Illustrative style in one way or another. Immediately recognizable due to the line quality and style, Illustrative tattoos could easily be mistaken as mere drawings on skin. With an origin deep in the antiquity of man, from primitivism to modernism, we discover the history, styles and artists who have used the organic and varied techniques of sketching to create their work. There are many different movements within the history of drawing that has perpetuated the technique to the forefront of fine arts. 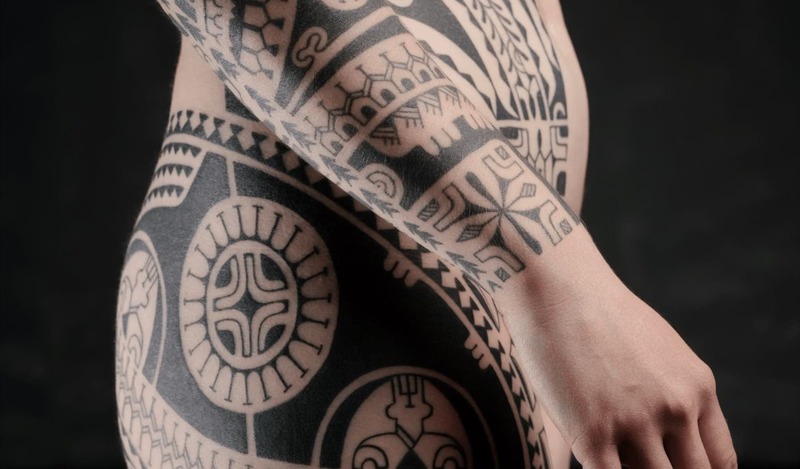 However, since there are so many artists, techniques, and moments in historical contexts, that are a part of the Illustrative tattooing style, we’ve highlighted the most popular strains within this genre. We’ve included the style of etching and engraving, sketch like gestures, Old Masters preliminary outlines for masterpieces, Abstract Expressionism, German Expressionism and more. There are also many different techniques involved in Illustrative tattooing style. Stippling, dotwork, linework, cross-hatching...modes of applying the ink vary for different textures or desired looks. We’ve tried to include many of the different way artists work within this style, but with personal tastes and concepts the options are almost virtually endless! The oldest cave painting is circa 40,000 years old. It seems self expression is about as old as humankind, and although you may think these paintings would be simple, they are far from. Dated at about 20,000 years ago, the bison paintings in the Altamira cave in are incredibly detailed and expressive. Showing the form of the animal in the abstracted shapes of Cubism, they are eerily haunting in their modernity. The same could be said of Chauvet Cave, the focus of the 2011 documentary by Werner Herzog. The Chauvet-Pont-d’Arc Cave, nestled in Southern France, is one of the best preserved examples of cave paintings dating back to around 30,000. The movement, the line quality, the layering of pigments are all some of the most beautiful examples of human illustration. And although it may seem a far cry from Illustrative tattooing, the caves prove just how intuitive and integral this style is to humanity. Although influence of cave painting can be seen, perhaps, in cubism, abstract expressionism and more, drawing was typically seen as a preliminary sketch coinciding with architectural proposals, or in the process of a planning a painting. However, even still, some of these are still used by Illustrative tattoo artists as inspiration for their pieces. Take for instance the Vitruvian Man by Leonardo Da Vinci. A sketch he made in the late 15 century depicting the perfect proportions of man as expounded by Vitruvius, an ancient Roman architect. Not only the image, but the idea of sacred geometry is often used in Illustrative work due to its origins and techniques. So while illustration has often had expressive means, it can also help in recording ideas and events or even as visuals for advertising. Obviously, before the invention of the camera in 1816, people had no means of conveying or replicating reality without the means of drawing and therefore many styles developed globally. The etching and engraving style most often seen in Blackwork, is inherently a part of Illustrative tattooing. Woodcuts are also considered to be in this family. In most cases illustrating the envisioned finished product includes drawings as an initial step in creating detailed work. Odd Tattooer, Aaron Aziel, and Franco Maldonado are some artists who frequently employ this line-heavy style for their work. 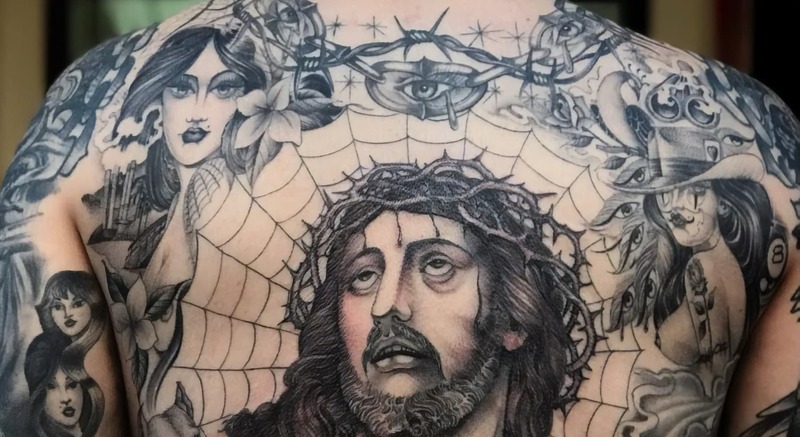 Inspired by the works of Goya, Gustave Dore or Albrecht Durer, this can have a very surreal or dark look depending on the tattooists personal tastes. Artists who tend towards this style of Illustrative tattooing usually use fine line needles in conjunction with drawing techniques like cross hatching, parallel hatching, and, at times, small dashes. These particular line styles are great for replicating the texture of fur, or the look of antique etched or engraved prints. Tattooists who are inspired by engraving and etching often fall into the category of Blackwork or Dark Art. It’s pretty understable why; the visual artists and past masters who have influenced these works were often interested in esoteric philosophies, alchemy, and magick. Sigils, demons, and mythical creatures can be illustrated in many varied ways, but these pieces usually rely heavily on black, or black and grey. Alexander Grim is a very good example of this. There are some artists, such as Derek Noble, who employ color but they are usually very deep tones like blood red or burnished orange. 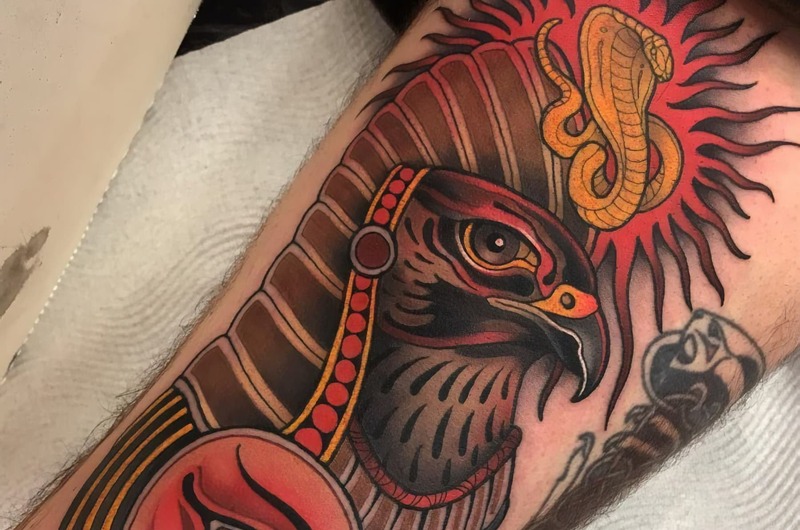 Some artists, such as Cristian Casas, are inspired by these same concepts and tend to straddle a few different styles; merging Dark Art and Neo Traditional, Casas still tends towards very bold Illustrative tattooing. Another Illustrative tattoo style is highly influenced by the art movement German Expressionism, an aesthetic that started before the first World War and had its peak in the 1920’s. Perhaps one of the most influential artists from this era and movement is Egon Schiele, who died at the very young age of 28 in 1918. His portfolio, however, has gone on to inspire many artists including Korean artists Nadi, Leeso, and Panta Choi. Perhaps part of the fine art replication trend currently hitting the tattooing community, the fine line is perfect for the expressive linework that artists like Schiele and Modigliani. There are other tattooists inspired by this movement, particularly by the visual artists like Ernst Ludwig Kirchner and Käthe Kollwitz who were known for their incredible prints. These tattoos often have thicker lines, but the designs still radiate an energetic movement like those with fine line. 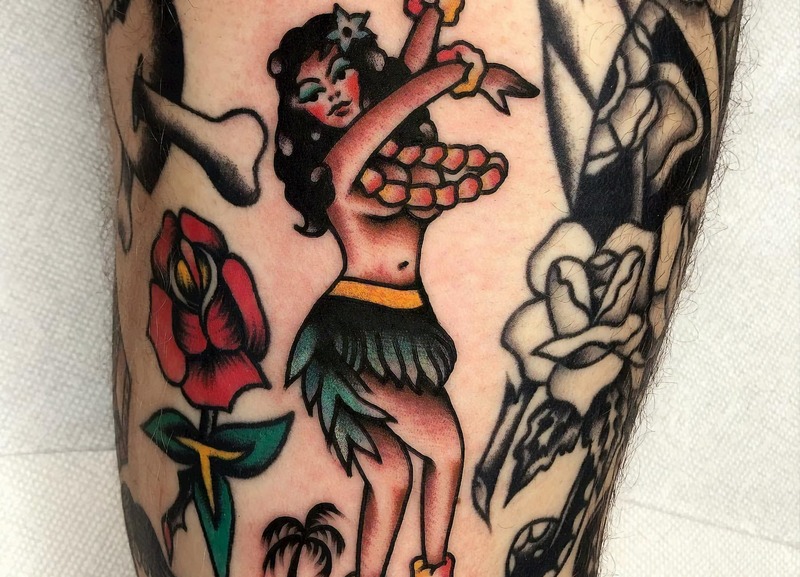 Of course, art movements are all incredibly varied, but Abstract Expression, Cubism, and Fauvism are closely related in ideas about color, shape, and form but have each had their effect on Illustrative tattooing. Artists involved in these movements like Picasso, Willem de Koonig, and Cy Twombly created work that was highly emotive and often very colorful. Using abstract shapes, quick gestures of line, and, at times, words, bodies, and faces, these artists and their movements continue to inspire collectors and artists alike. Ayhan Karadag, along with Carlo Armen and Jeff Sypherd, have done replications of Picasso paintings, or have fused his bold and vibrant style with their own. Parisian based artist Maison Matemose is a highly abstract and illustrative tattooist, much like Korean artist Gong Greem who uses bright colors and forms like Kandinsky. Artists like Servadio and Rita Salt also share a line heavy quality, pulled from the Primitivist origins of Expression and Abstraction. Their work is usually figurative, but that’s the beautiful thing about Illustrative work: it’s always enhanced by the personality and style of the artist. The Japanese and Chinese arts have influenced Illustrative work around the world for centuries. There are many different styles within this category alone. Calligraphic line work often looks graceful and spontaneous, while still somehow perfectly depicting the chosen subject. Tattooer Nadi tends towards this style, using different line weights, and sketchy textures to create his work. Irezumi, of course, is also a huge influence on Illustrative tattooing, These Japanese tattoos mainly gathered their aesthetic from the Ukiyo-e prints of the Edo period. The outlines, flattened perspective, and use of pattern were all characteristics commonly seen within these prints. Even now, most Japanese pieces have a stead black outline, almost as if the tattooist took a pen to the skin. Due to the use of pattern, and sometimes color, this outline is important. It makes the designs clearer, and holds in pigment. Illustrative techniques are usually not just for looks, there are reasons why tattooists work this way. With Japanese tattoos depicting Chrysanthemums, beautifully intricate kimonos, or the many scales on a dragon is made easier with a sweeping outline. Some artists working in this vein of Illustrative tattooing are Chris Garver, Henning Jorgensen, Ami James, Mike Rubendall, Sergey Buslaev, Lupo Horiokami, Rion, Brindi, Luca Ortis, Dansin, and Wendy Pham. 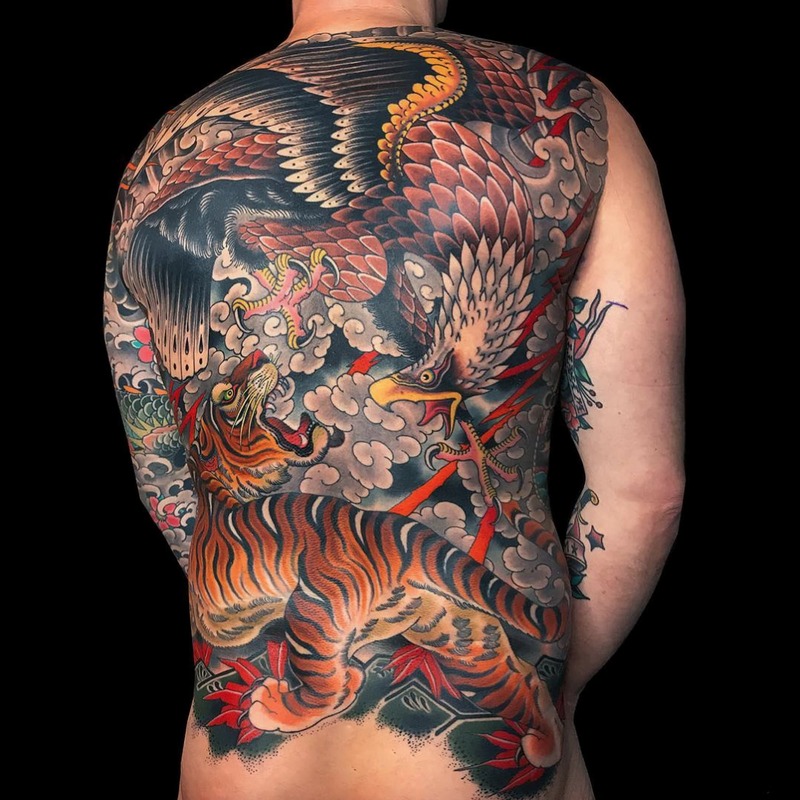 Immediately looking at Irezumi you can see the influence on Neo Traditional, another strain of Illustrative tattooing. Not only inspired by the same Ukiyo-e prints of Irezumi, but also Art Nouveau and Art Deco. Art Nouveau, in particular, was highly affected by the Japanese use of nature as a concept, as well as graceful curving lines to delineate frames, faces, and botanicals. Art Nouveau was more lush and decorative than most Japanese crafts that inspired it, but you can see a wonderful use of pattern, filigree, and ornamentals in the works of tattooists Hannah Flowers, Miss Juliet, and Antony Flemming. Some of these artists go beyond Illustrative tattooing style, to a look that is highly painterly, such as Aimee Cornwell, however you can still often see the spark of Art Nouveau artists. Visual masters such as Alphonse Mucha, Gustav Klimt and Aubrey Beardsley are some favorites; many reproductions of their work have been made into ink. Neo Traditional isn’t the only Illustrative tattooing style influenced by Irezumi and Ukiyo-e. Japanese animation, with a rich history of its own, garnered widespread overseas appreciation thanks to Western adaptations, dubs, and networks started pulling animes for their own programming. Toonami, first originating as an afternoon and evening block on Cartoon Network, exhibited shows like Dragon Ball Z, Sailor Moon, Outlaw Star, and Gundam Wing. This was also in thanks to the materialization of highly skilled animation studios like Studio Ghibli. Even now many tattooers are asked to replicate characters from anime and manga, especially in the genre of New School tattooing. The Illustrative tattooing styles not only includes Japanese comics, but global comics and graphic novels as well. Marvel superheroes have become a recent fad and, since the 90’s, Disney tattoos depicting favorite characters or scenes have always been on trend for collectors. It’s easy to understand why; tattoos are used for people to express what they love...anime, manga, comics, and Pixar tend to have some of the most passionate fans who love to ink their skin. Most anime and comics are first drawn...and while many films and books are becoming computer generated these days, there is still the use of line that is indicative of the Illustrative tattooing style. Another Illustrative tattooing style is Chicano. The main reason why much of the work in this genre is so illustrative, is due to its influences, and origins. Considering its roots in pencil and ballpoint pen drawings, it’s no wonder that stylistically the artworks blend those techniques with an incredibly rich culture background. While many people are familiar with the works of Frida Kahlo and Diego Rivera, other artists such as Jesus Helguera, María Izquierdo, and David Alfaro Siqueiros were also at the forefront of the Mexican artistic output. Their work, along with other South American artists, mainly focused on depictions of political strife, familial representations, and illustrations of daily life. Later, modern stylistic approaches emerged that were directly influenced by life behind bars. Using what few materials they had in prison, or barrios dotting the landscape of LA, artists drew inspiration directly from their own life experiences, as had their artistic forerunners. Scenes from gang life, beautiful women, slick cars with filigree script, and Catholic crosses quickly went from hand drawn illustrations, such as the ballpoint pen decorated handkerchiefs and linens called Paños, to iconic Illustrative tattoos. 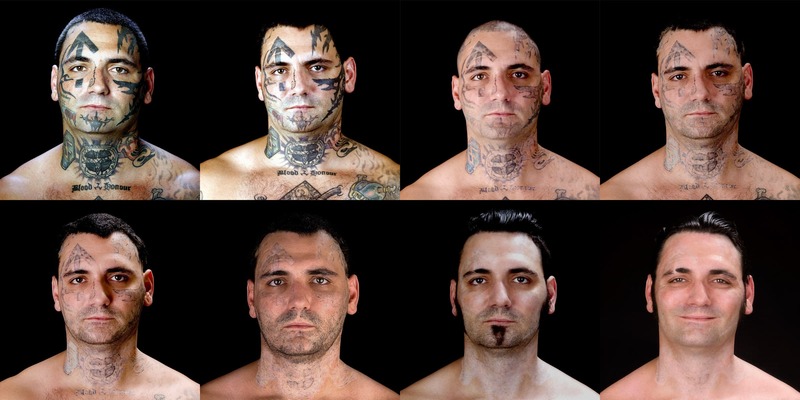 Inmates would use pure ingenuity to piece together a homemade tattoo machine and, using only the black or blue ink they had available to them, depict that which they knew best. Chuco Moreno, Freddy Negrete, Chuey Quintanar, and Tamara Santibañez are at the forefront of contemporary Chicano tattooing. As you can see, Illustrative tattooing involves many different styles, cultures, histories, and concepts. 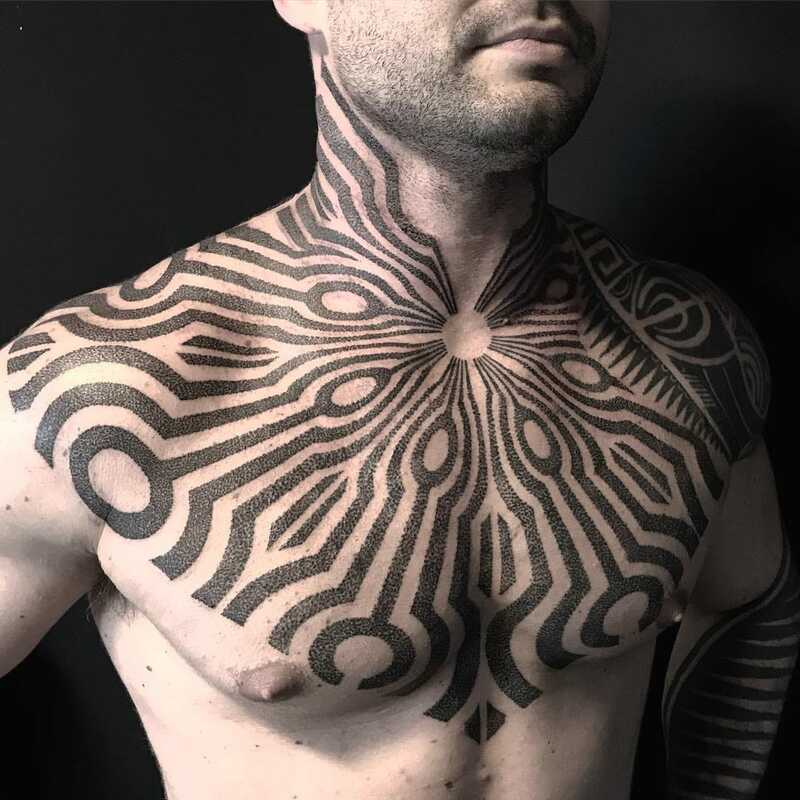 The beauty of this genre of tattooing is that it merely represents the use of line; if a tattoo looks as if it could have been drawn on a piece paper rather than skin, it’s probably Illustrative. Of course, some tattoos are more illustration based than others, but the varied look, the amount of styles, the abilities of the artists above...everything about this particular style is inspiring and necessary to the art form of tattooing. It takes 2-3 weeks for a tattoo to heal completely. During that time, your skin does a lot of things to heal your tattoo — here’s what to expect and what not to expect. Getting a tattoo and having a child are choices that define who we are. Big life decisions do not have to be scary, they just mean you should definitely do your research first. How Can I Get a Tattoo Removed? Removal of a tattoo takes time, affords patience, and obviously costs money. Tattoodo’s informational guide this time introduces you to laser removal which is the most efficient way to get rid of your tattoo. 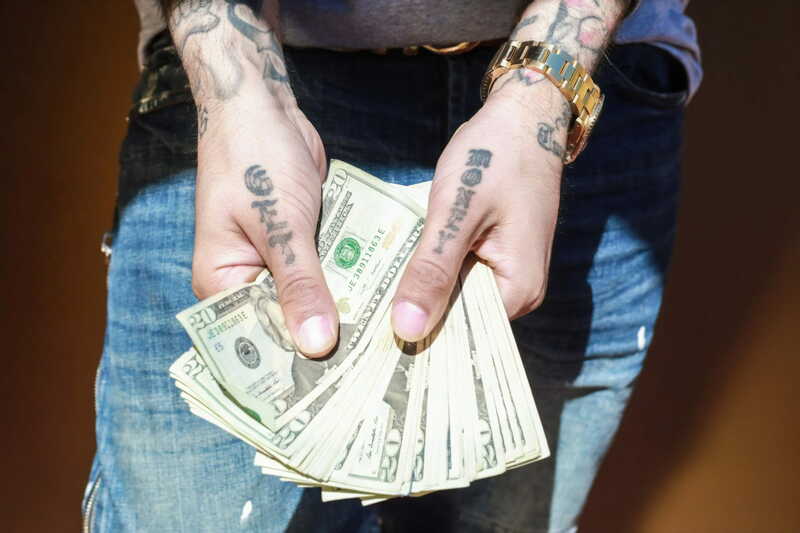 The top factors for the cost of a Tattoo include artist skill and exposure, where you are getting the tattoo done, tattoo design, and size and placement of the tattoo. Are you thinking about getting a tattoo but you don’t want to be labeled a sinner? 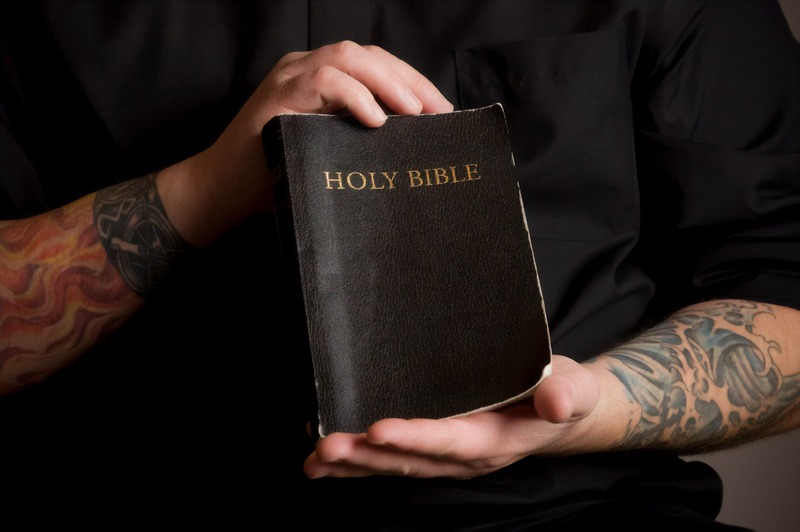 What does the bible actually say about tattoos? How Do I Protect My Tattoo from the Sun? It is important to protect your tattoos with sunscreen when being in direct sunlight for any amount of time. How Do I Take Care of My Tattoo? How to care of a Tattoo? As you leave the parlor with your fresh new piece, this is the question you will find yourself asking. These tips and tricks will help you build an effective, cohesive, and powerfully professional Tattoodo tattoo artist portfolio. In this article we explore the history, designs and artists within the Traditional tattooing style. 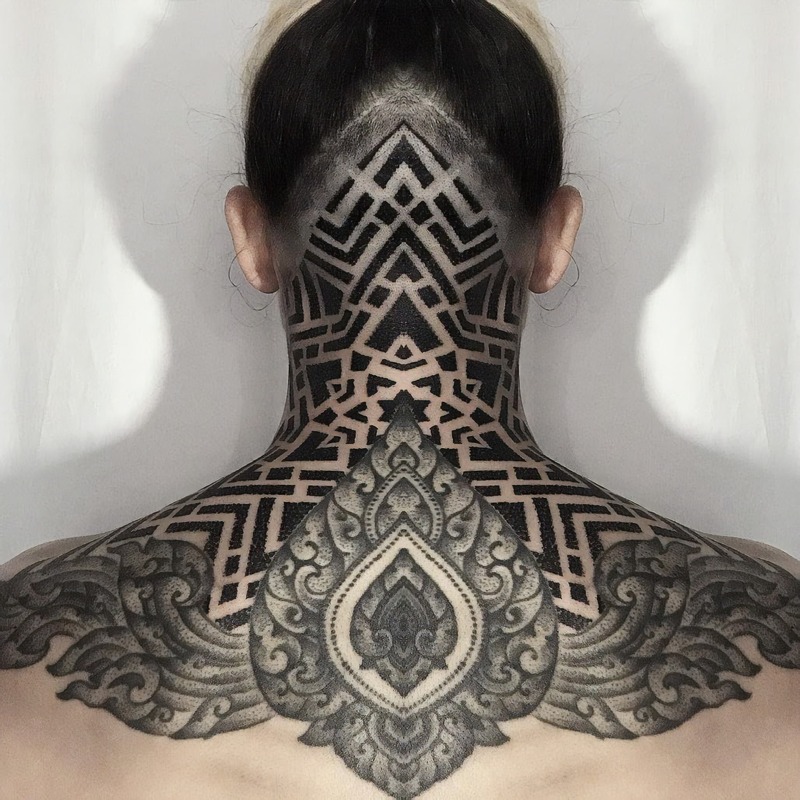 In this article we explore the origins, styles, and artists who have mastered Blackwork tattoos. In this article we explore the history, imagery and artists who practice Japanese tattoos. In this article we explore the history, styles and artists who keep the tribal tattoo tradition alive. In this guide we explore the history, influences, and artists within the Neo Traditional tattooing style. 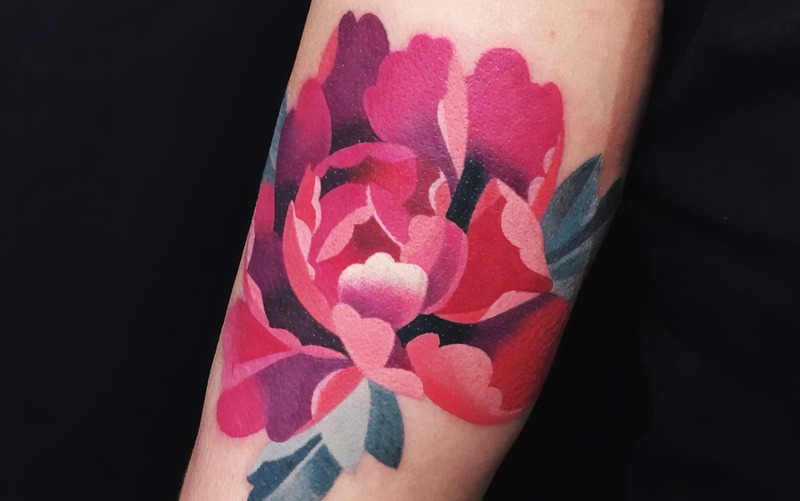 In this article we explore the origins, techniques, artists and aging of pieces within the watercolor tattoo style. In this article we explore the origins, styles and artists who work within the New School tattoo aesthetic. 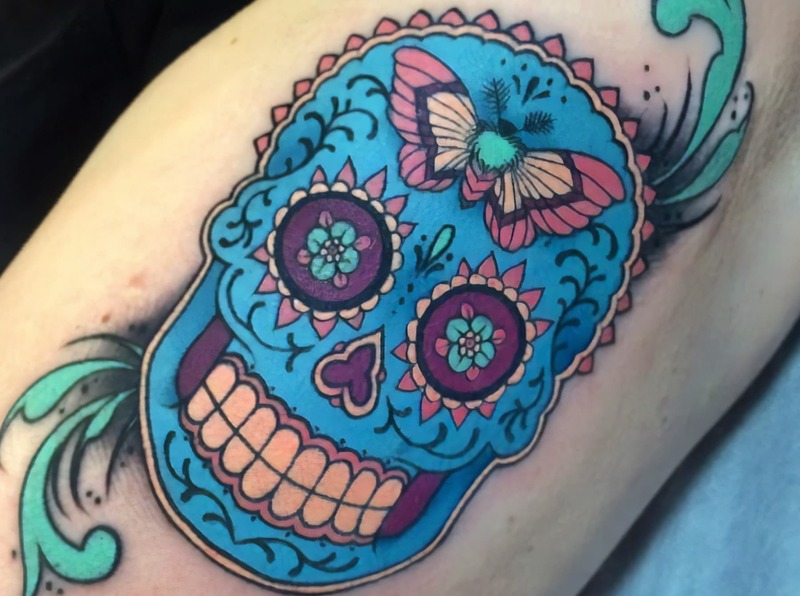 This guide to Chicano tattoos looks at the historical roots, cultural references, and artists who have mastered the craft as well. 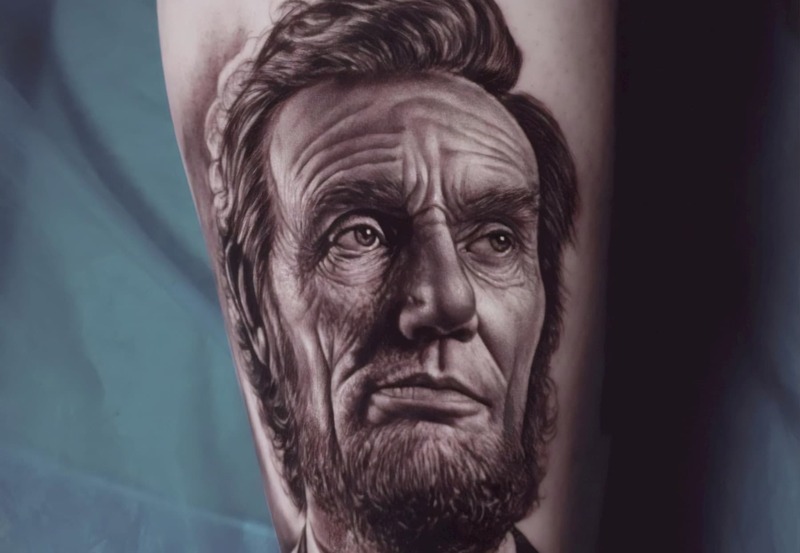 In this guide we explore the history, techniques, styles and artists within the Realism tattooing style.